Are you looking for fun and exciting ways to earn some cash online? Did you know that you can actually get paid for doing something you already enjoy doing, for instance, searching the web? 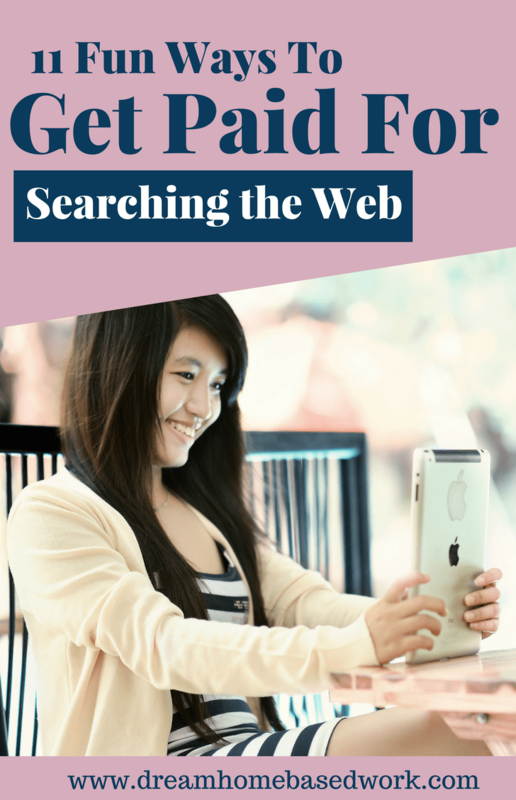 Yes, you can make money by simply searching the web. However, this is not as simple as just entering some words on google search and then you get paid. There are sites that will pay you for searching and evaluating search results. Bing Rewards, which has transformed into Microsoft Rewards, pays people to search the web. However, there are more other things that you can do with this platform and get paid. It is a reward program that you can join for free and start earning points. You get points every time you use Microsoft store, download apps from the store, purchase Microsoft products, use Microsoft Edge web browser and download and use Bing as your search tool on your mobile device or personal computer. The rewards can be redeemed for exciting rewards like gift cards, movies, and games. Whether you are new or old in the (GPT) world, you will agree that Swagbucks is so popular. And it is for a good reason. This site offers a number of ways to make money online and searching the web is among the most popular methods. The site has a “Search” function that you can type in and search anything and earn from doing just that. You will earn SBs, every time you use the search function. SBs are the website’s reward point system that can be redeemed for exciting prizes and gifts. Click here to sign up. Free registration. This is another GPT (Get-Paid-To) site that has plenty of ways to earn rewards and make some money online. 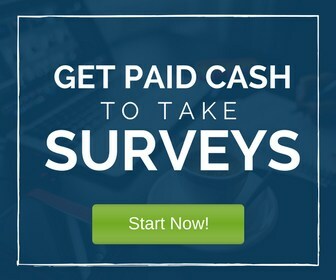 You can shop and get paid, search and visit websites, watch TV and videos from their collection of shows and movies, take surveys and complete offers. Web searches will enable you to earn points which can be redeemed for various gift cards like Walmart, Amazon, and others. This site offers a number of ways to earn some money online. You can get paid for playing games, reading emails, taking surveys, watching TV, completing paid and free offers and the easiest and most exciting of them all is searching the web using the site’s search bar. All you have to do is to complete the searches and get paid. The good thing about this site is that you can cash out your earnings once they get to $30. Click here to get started. You will receive $5 instantly upon registration. If you have excellent research skills and capable of providing the right responses to a wide variety of questions, then this is the site for you. You do not need to have a formal education to be hired by this firm all you need are research and writing skills. You will search the web for answers to various questions and respond to them in the fastest time possible. Sign up here – https://askwonder.com/researcher. Read the full review here. 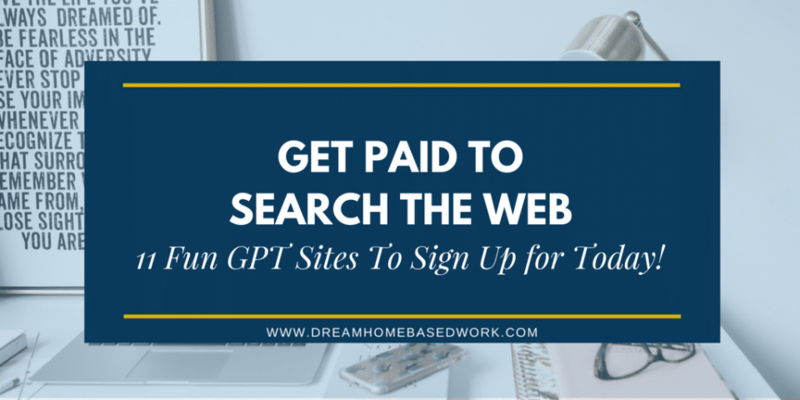 This is not a very popular GPT site but it still pays people for searching the web. With the Paid Search function on the iRazoo dashboard, you can search and earn points. The more you search the more you earn points and the more the chances of earning exciting prizes and rewards. You can redeem your accumulated points for cameras and video gaming systems. This site pays you for searching the internet for items you want to purchase. You will be required to add a browser add-on which will run in the background of your browser without affecting anything. While searching for the product, Qmee pops up the best deals and prices across the web for you to choose and buy. However, you do not have to necessarily purchase the item for you to earn cash. But if you make a purchase, you earn more money than when you just search and not make any purchases. You can then transfer the money to your PayPal account at any time. https://www.qmee.com. Watch my video tutorial to see how it works. PCH is an abbreviation for Publishers Clearing House, a site that runs a regular sweepstake worth millions of dollars. This site allows you to earn points, enter contests and it enters you into a daily sweepstake draw every time you log in. However, the points you earn can only enable you to earn more contest entries. Instead of searching the internet for fun, you can actually make some money out of doing just that. You do not have to be so educated to do this tasks. Hi I appreciate your time and effort to help us. I kindly want to inform you that this website “https://askwonder.com/researcher” is not worth to try. I took their test for a web researcher position which was very difficult and time consuming and passed it %100 accuracy. At the end of the test they simply stated I was successful but there is no position right now. I’m really disappointed and felt fooled.